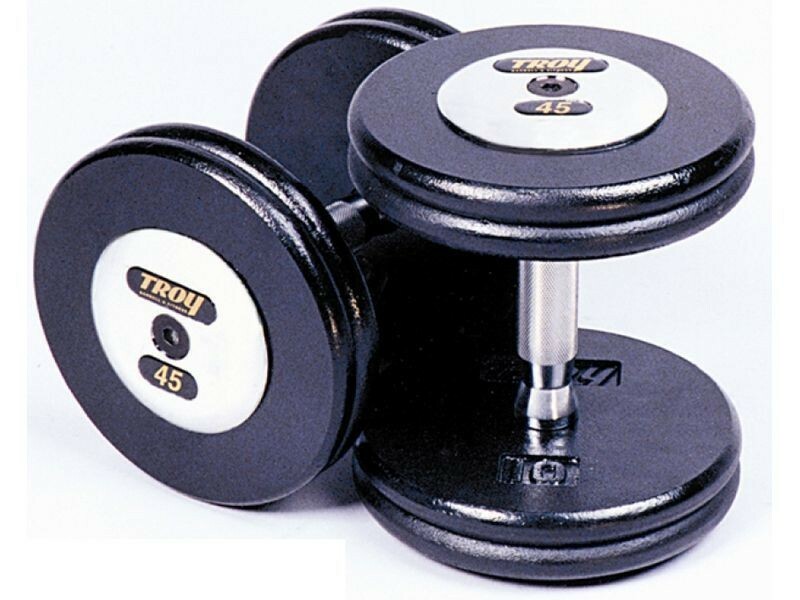 Just like the Troy Pro-Style Dumbbells, but with a contoured 32mm handle for a more ergonomic grip. Includes two dumbbells of the specified weight. 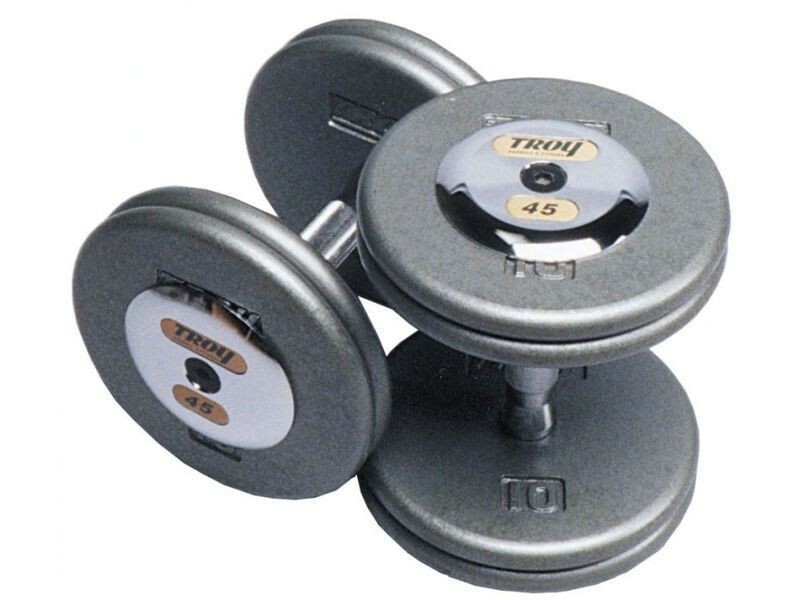 Unlike some of our other dumbbells, these are only sold in pairs. 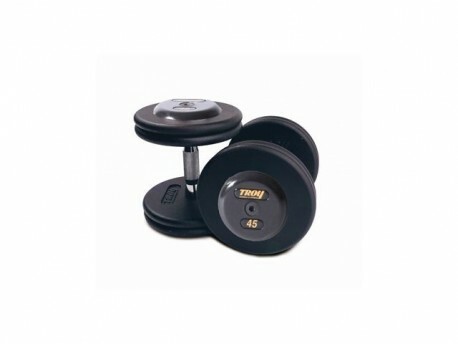 These Troy dumbbells are used in many commercial gyms and will bump up the professional look of your environment. Choose from either rubber or chrome end caps. Rubber is the most popular. The 5lb dumbbells do not have end caps. 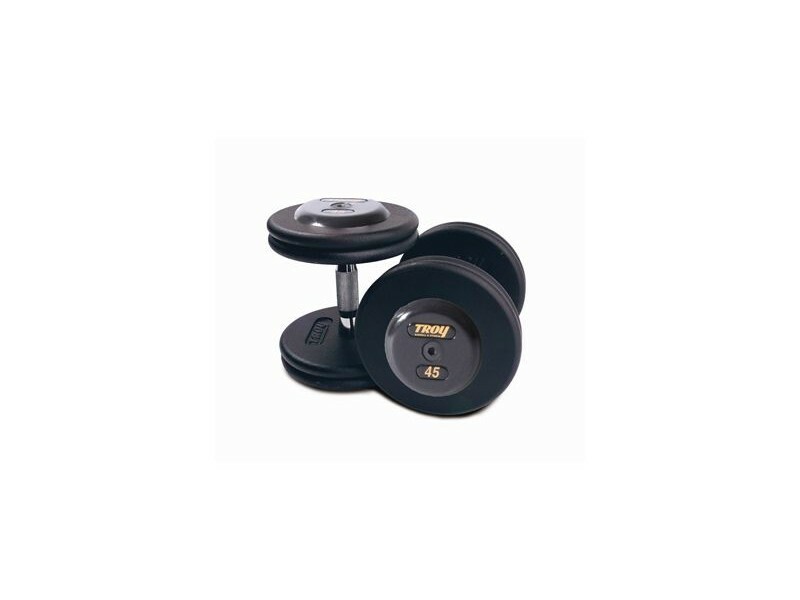 Available weights: 2.5lb increments up to 52.5lb, and 5lb increments up to 150lb. Most of our customers get only the 5lb increments. 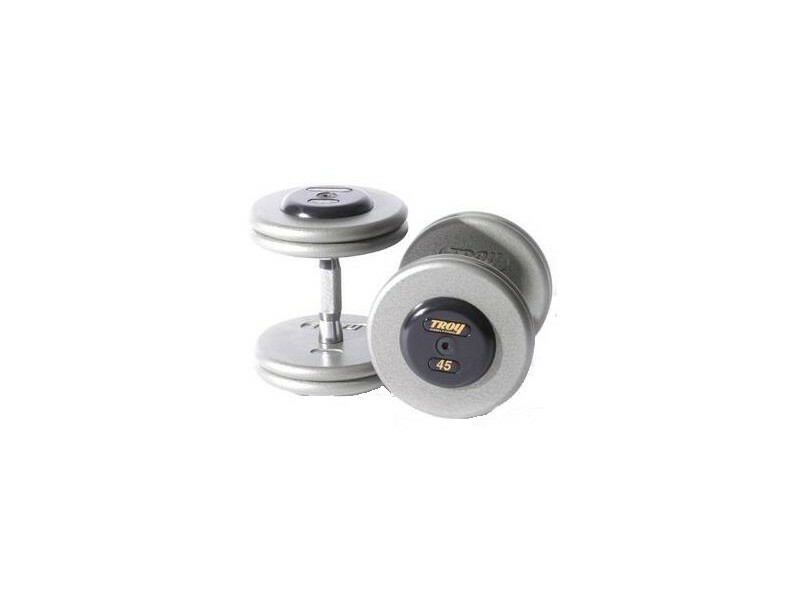 These dumbbells are assembled by Troy Barbell in Houston, TX, using an impact wrench to tighten the bolts with a high enough torque that the bolts should never loosen. Unlike dumbbells of this design that you hand-tighten yourself, you will not be able to able to disassemble these. Please allow for an additional 3 days lead time for assembly.